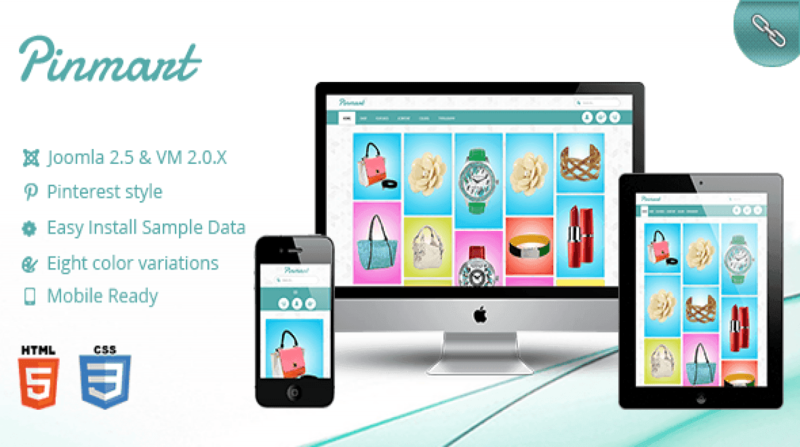 Pinmart is responsive Joomla template with specially coded virtuemart theme for mobiles and tablets. It works with Joomla 2.5 and VM 2.0.X. Pinmart is derived from Pinterest+virtuemart. So as name suggests is renders virtuemart pages in pinterest style. It comes with easy install sample data and eight color variations. VM categories and products are displayed in one infinite sequence. Product rating on front page.